There is no shortage of beads in New Orleans. That is Mardi Gras beads. They are not the kind we use in our bead art, although I have seen art made with Mardi Gras beads. 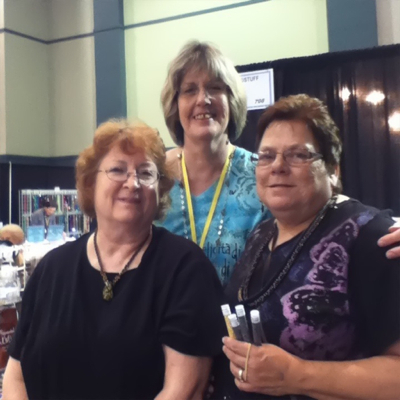 Last weekend was the International Gem and jewelry show. 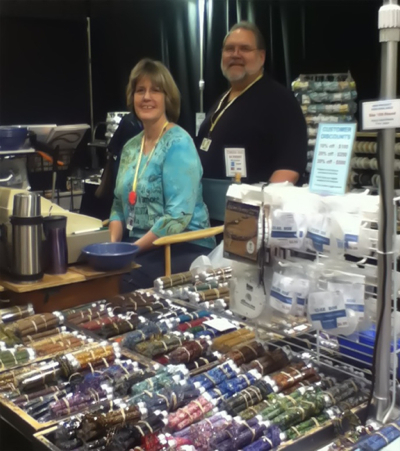 I haven't been to a bead show in so long. I got up Saturday morning armed with my pass and I headed out the door. My plans were to visit Beadstuff and pick up gold perm galv. 15/0 seed beads. As I was entering the show my friend Carol was leaving. We spotted each other and went back in to find Beadstuff and do a little shopping. There they are Doug and Pam. We had so much fun talking and shopping I forgot to go home. The sun was setting and my phone was ringing off the hook. See I told my husband I would be home shortly. A 1/2 day later I realized how late it was! 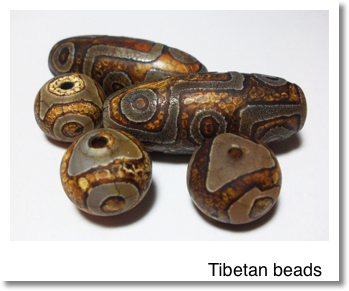 I have plans for these Tibetan beads. I envisioned them on the ends a crocheted lariat with a matching bracelet. These were a few of my favorite things that came home with me. 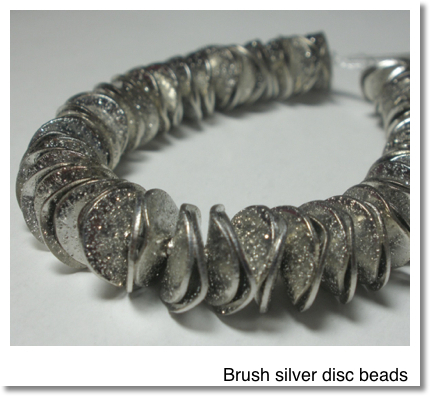 I love these brushed metal disc beads. I now have them in copper, gold and silver. They really do a great job of adding a finishing touch to a design.